DIT Student Kealin Cudlipp from Wicklow Studying Film and Broadcasting took to the stage last week on December 3rd and 4th to perform in the DIT Drama Society play “Posh”. It ran for two nights in the DIT Blackbox theatre, in DIT Aungier Street to sell out audiences, who were blown away by the entire production. 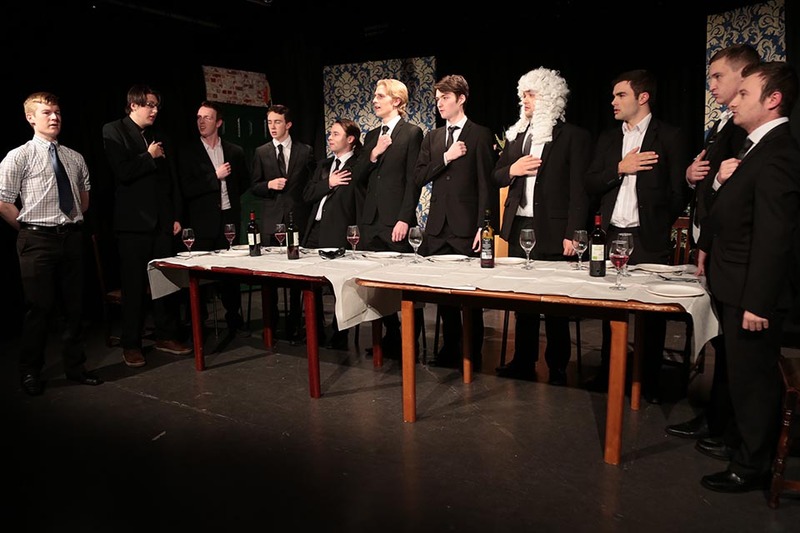 The production organised last week by DIT Drama Society, ‘Posh’ was directed by DIT Alumni Simon Hunt and co-directed by professional Actor and Producer Clide Delaney. Posh tells the story of a Riot Club Dinner, an exclusive Oxford undergraduate dining society for landed gentry, known for its debauched hedonism, garrulous, alcohol-soaked badinage, vulgar, unashamedly ostentatious displays of wealth and canny networking for the future. Director Simon Hunt commented on the play: “From day one I knew it would be difficult given the size of the cast and the play as a whole. I don’t really see this as a bad thing looking now because it made their already spectacular performance all the more impressive. I couldn’t have asked for a more solid and enthusiastic bunch of actors to work with”. DIT Drama Society has put on over 50 productions since establishing in 1999. Our past members have gone on to work in professional theatre and film and we hope some of our current members will do the same after this experience. Both of our productions have the opportunity to be selected for the Irish Student Drama Awards. This inter-varsity competition sees college plays compete and are judged by professional actors and directors.